Lot Detail - Four Post War Soldiers and Sailors. Four Post War Soldiers and Sailors. 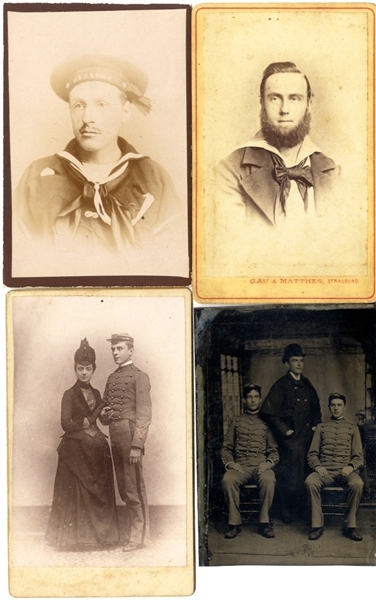 Group of three (3) carte de visites and one tintype of American soldiers and sailors. Fine condition.